NJ3356 : I'm telling you it's Spring!! I'm telling you it's Spring!! 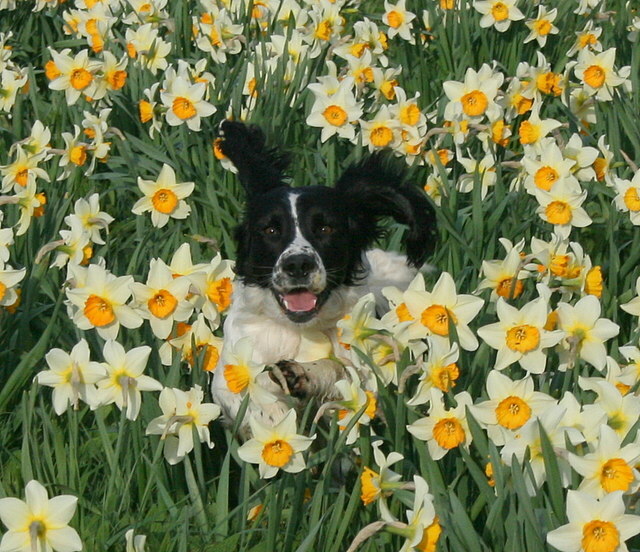 Scooby bursts from the daffodils by the banks of the Spey.